BODEGAS RIOJANAS TASTING IS NEXT SATURDAY MARCH 23, FROM 2-4 P.M. Bodegas Riojanas, founded in 1890 produces traditional style Riojas which offer up brightness, silky fruit, and cigar-box spice at affordable prices. Our tasting will focus on their compelling red wines including the Monte Real and Canchales cuvées which are incredibly food friendly. These wines are excellent with paella, grilled meat, and charcuterie. Come in on March 23 to learn more and taste these wines! 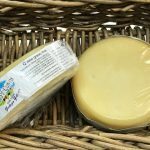 Queso Gallego is back in stock. 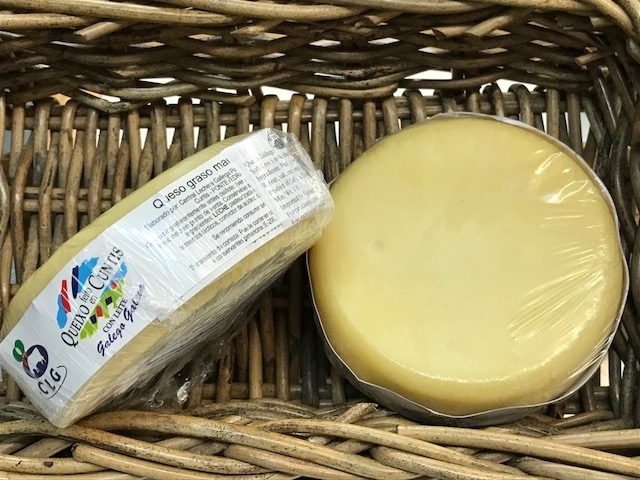 A soft, creamy and unctuous cow’s milk cheese from Galicia, Queso Gallego is has a buttery flavor with tangy notes and hints of cereal. Makes a phenomenal grilled cheese sandwich or serve on its own with honey. Préferé Nos Montagnes Reblochon-style Authentic raw milk Reblochon is banned in the USA because it is non pasteurized and aged less than 60 days. And until now, it’s been difficult to replicate the creamy, lush richness of the raw cow’s milk cheese, an essential ingredient in Tartiflette (the cheese, lardon and potato dish). Préferé Nos Montagnes’ is a pasteurized cow milk cheese that is as close to raw milk Reblochon as you’ll find here in the states. With a creamy soft texture that oozes when cut, the intense buttery flavor has traces of pasture grass, toasty richness and nutty hints. Bodegas Cepa 21 Hito Rosado 2018, Ribera del Duero ($14.99) Our first 2018 rosé of the season arrived yesterday, just in time for sunny, warm weather! Bodegas Cepa 21 was founded by the Emilio Moro winery to produce bright and modern wines. Hito Rosado is 100% Tempranillo, aged on the lees for one month in stainless steel tanks. Floral aromas have notes of wild berry on the palate. Beautifully structured and lively, this lightweight and dry rosé pairs wonderfully with grilled salmon. Llopart Reserva Rosé Brut 2015, Penedes ($24.99) Made with certified organic grapes. The Llopart family have been viticulturists since 1385, and cava producers since 1887. The Reserva Rosé brut is a blend of 60% Monastrell, 20% Garnacha, and 20% Pinot Noir, made in the traditional champenoise method, aged 18 months on the lees. Fresh fruit aromas have light tannins on the palate, with tiny, festive bubbles. Light red fruit notes have hints of toast and spice with great balance and structure. The finish is elegant and creamy with a persistent and crisp finish. São João Rosé Espumante Brut, Bairrada ($17.99) The singular terroir of Portugal’s Bairrada region makes for world-class sparkling wines. The vineyards are planted 20km from the ocean, on clay and limestone soils and experience strong winds and a cooling effect from the maritime Atlantic climate. A blend of 40% Baga, 40% Touriga Nacional and 20% Cabernet Sauvignon grapes, it is made in the méthode traditionelle and aged three months on the lees. Floral tones and red berry fruit lift the nose. On the palate, delicate and persistent bead makes for a silky, rich texture. Bright strawberry and red raspberry on the mid palate, complemented by mineral, white pepper and more floral tones. Racy acidity cuts a beam through the middle, making for a food-friendly sparkler. Traditionally served with roast suckling pig in this region of Portugal.